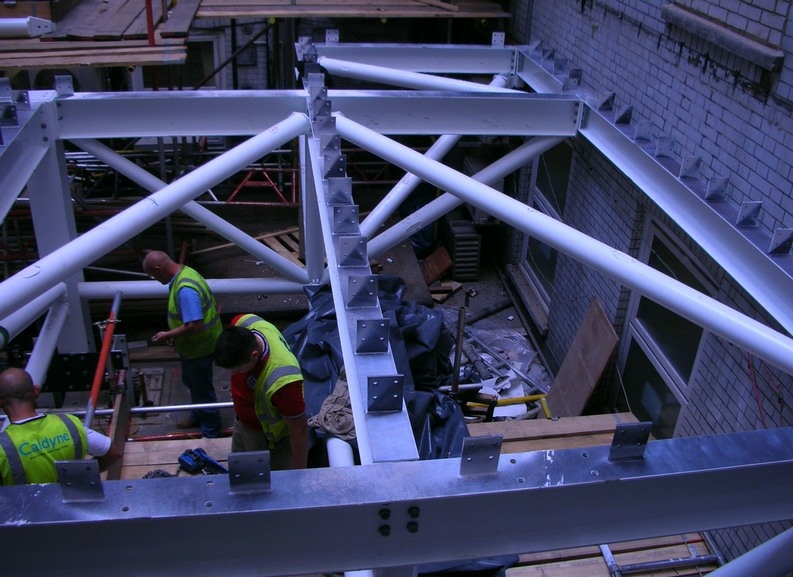 This £1.6M scheme for creation of a new Endoscopy Suite at the Royal Marsden Hospital, Chelsea required the provision of additional floor space at ground level within an existing internal light well/courtyard, standing above the Steam Boiler Room sited below the courtyard floor. With the assistance of ground penetrating radar, and diamond core investigation, W&A determined the location and nature of the original foundations below basement level sufficient to verify for support of new steel columns standing on spreader beams laid on the existing floor. 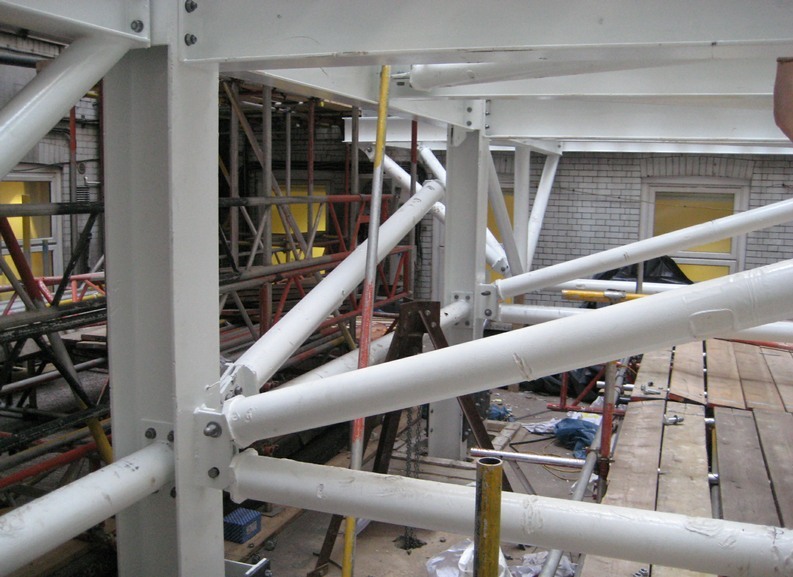 The new columns were taken up through the roof and provided support for a lattice framework, cantilevering out to support the required extension. 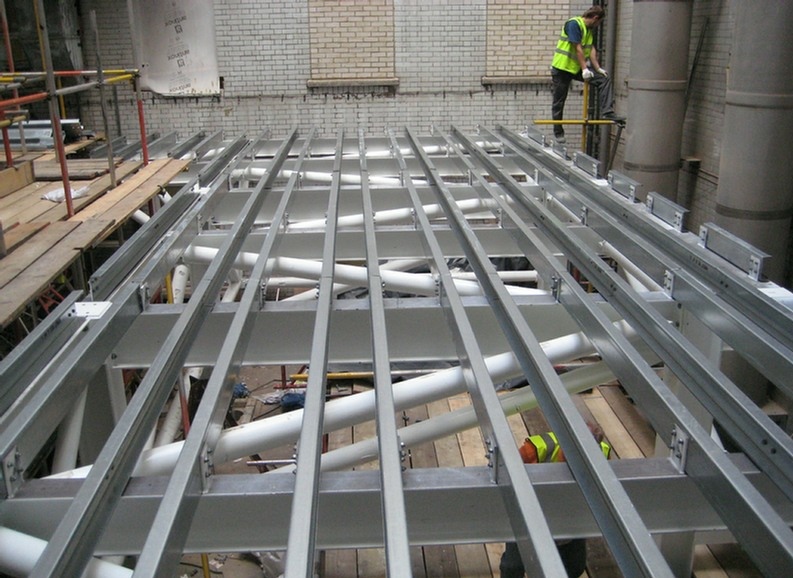 The steel framed structure connected to the existing building was extended on one side to create new floor space and form shafts enclosing existing boiler flues. The roof deck was created to support mechanical services equipment. 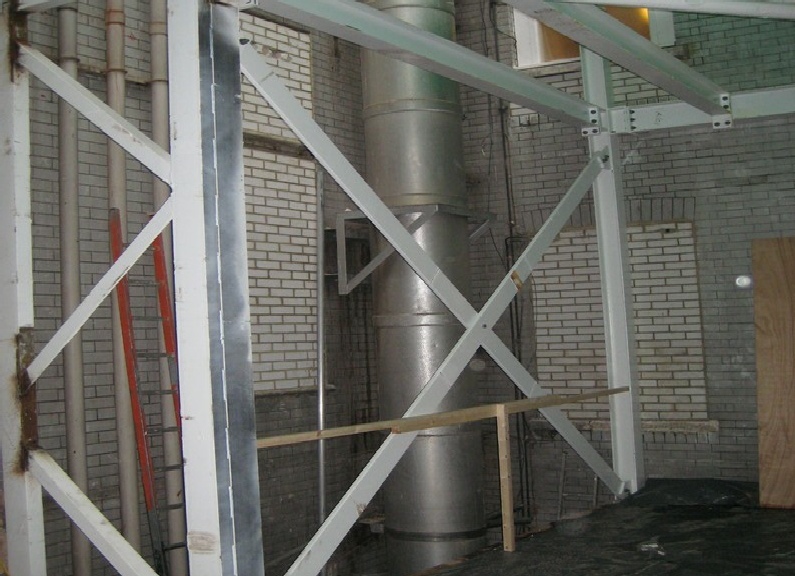 The scheme demonstrates our ability to envisage an innovative solution to create additional floor space, accommodate existing hot flues, and provide support to mechanical service air handing and cooling plant.